Hello again, savvy savers! Tonight finds us with a new review, and this time the Baby Car Mirror Bundle from Yes Baby. You will receive one of the most comprehensive packs for rear-view baby, in-car monitoring on the market. The Yes Baby Car Mirror features both silicone Baby Fork & Spoon. These utensils have color changing technology depending on the food’s temperature. What’s even better? The REFLECTIVE ‘Baby on Board’ Sticker. This is an awesome bundle! If you would like to purchase this bundle, please click here! Everyone knows that in order to properly enjoy wine, you have to let it breathe. The problem is that this process takes too much time! Vintorio is committed to simplifying wine enjoyment, so that our customers need only focus on the pleasurable aspects of drinking quality wine. No more waiting for conventional decanters to fully open up wine! 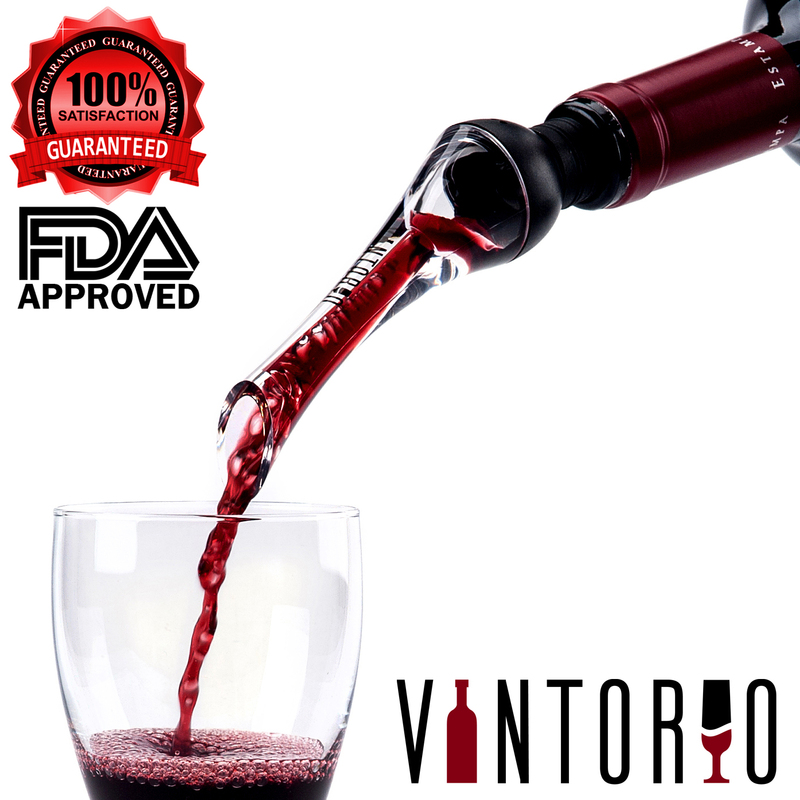 The Vintorio Aerator Pourer will bring the BEST out of your wine every time you pour! The Vintorio’s aerating chamber injects air bubbles directly into the wine, instantly releasing aromas and flavors. You can actually see the air bubbles in the wine being poured! The rubber stopper is tapered and ribbed to create a leak-free seal and the ergonomic spout makes for an easy drip free pour. This means that you don’t have to worry about wine stains AT ALL! To clean, simply twist the acrylic spout to detach it from the flow regulator and rinse all pieces with warm water. No more build-up of gunk in your aerator! Hello again, savvy savers! Today finds us with a new product review, and this time the Entertainmount Review. The Entertainmount is a device invented by two dads who wanted to be able to keep their kids entertained on long car rides. The goal was to make the device universal, portable, and affordable. The Entertainmount provides a universal and versatile solution for mounting a smartphone when you’re on the go. Its innovative and compact design allows the Entertainmount to quickly and sturdily hold any electronic device with screen sizes up to 7 inches in width. Turn the back seat of your car into a movie theater! 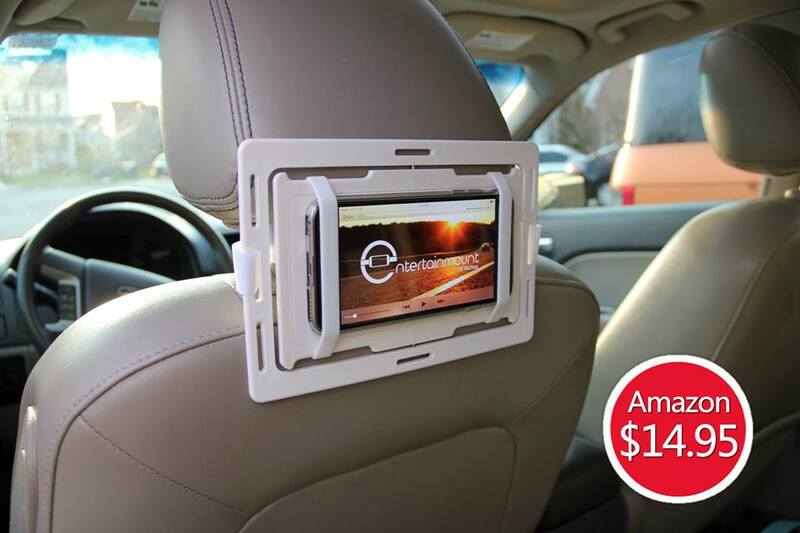 The Entertainmount can be used between two headrests in a car for back seat viewing. It goes up in a minute and can be put away just as quickly. It easily stores in a glove compartment or behind your front seat. When centrally mounted, the Entertainmount allows your device to rotate 180 degrees so that the passenger in the front seat can change the program for the viewers in the back (check out our video at http://www.entertainmount.com to see for yourself!). It then latches into place with a magnetic fastening system. 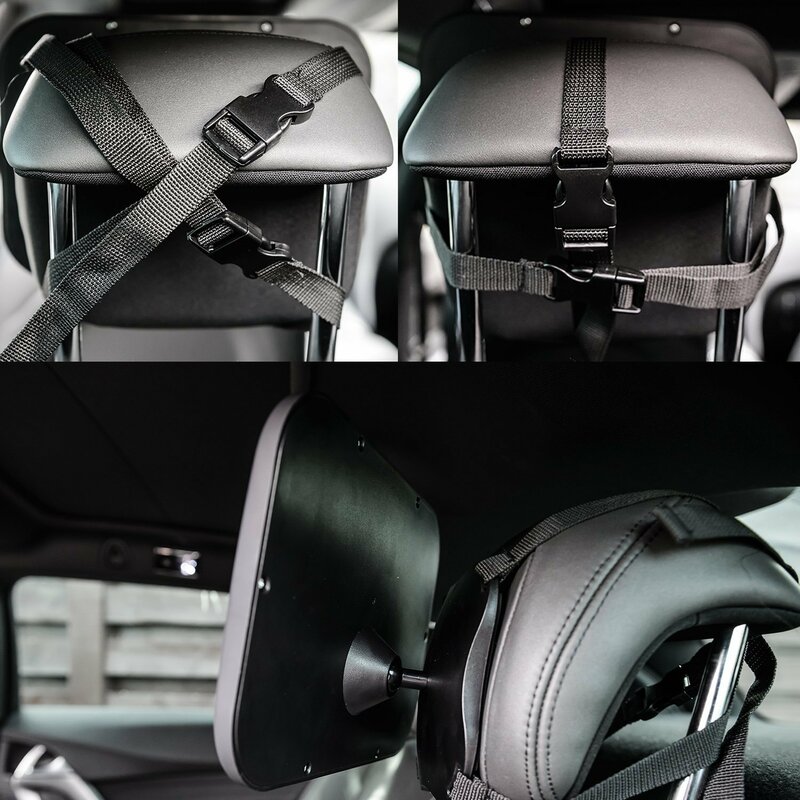 Additionally, the Entertainmount will mount to a single headrest, to a sunroof, to a visor while you talk hands free, to a shopping cart, to a bike for GPS, to a boat, to a golf cart and so much more. Don’t forget the Entertainmount when you travel. With its slim and sturdy design, take it with you and mount it to an airplane or train tray table to watch a movie. Then easily mount it in any car you rent when you get there. The Entertainmount. Where will you mount it? Hello again, savvy savers! Tonight brings us a new product review, and this time time the Digestive Enzymes Supplement Review + Giveaway. So, why this product? It’s one of the most complete Digestive Enzyme formulas available – New way to relieve digestive discomfort, improve energy levels and support your immune system. 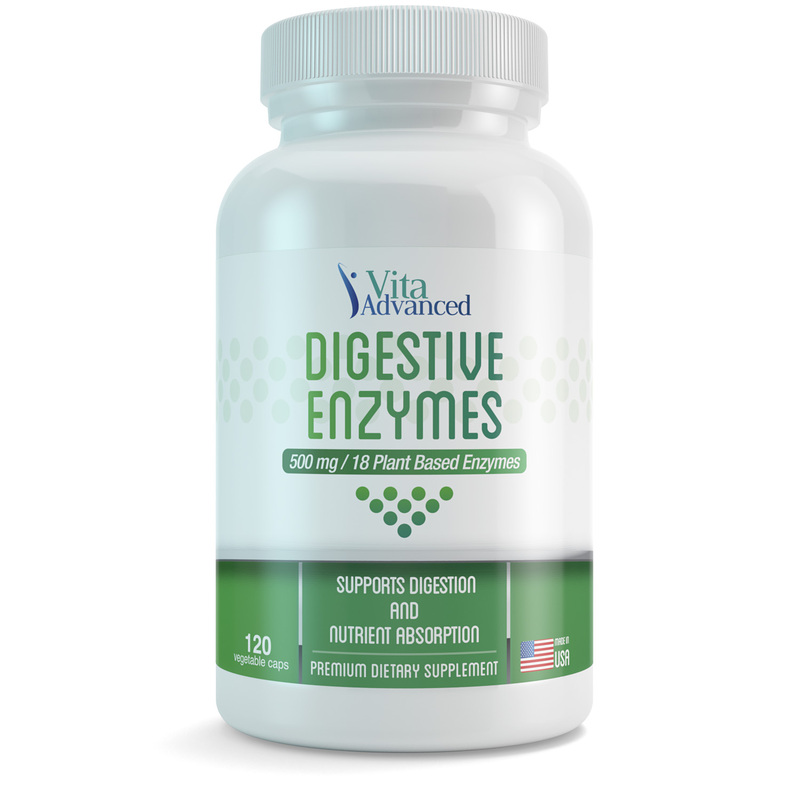 When you choose this Digestive Enzymes you can feel confident you’re using a high quality product and it can help to get you on track to optimal health. High quality – You can look forward to receiving our digestive enzymes supplement that contains 18 different Plant Based Enzymes and is all natural. Moreover, I’m excited to share with you that this company has generously offered a giveaway for my readers! To enter, please check out this product from the above link, an Amazon, and then come back here and leave me a comment, or on my social media channels where the products is listed, letting me know why you would want to try this product; this giveaway ends on 5/19/15 at 11:59 pm CST. Good Luck! Hello again, savvy savers! Today finds us with a new product review, and this time the Multi Binder reusable plant tie Review. Spring is upon us and we are offering our versatile reusable plant ties. Also work great for holding and organizing power/computer/phone cords, basically anything with a cord. Revolutionary new reusable rubber plant tie. Rubber belt that secures any plant or tree sapling to a stake or post. We have several sizes of this product, this is our smallest and measures 1/3″ wide x 7″ long. This is a package of 5 pieces. That’s it! Your’re set. These ties withstand temperatures from -20 zero to 150 above. Also, these ties are made with a rubber compound that will flex with tree growth. Hello again, savvy savers! 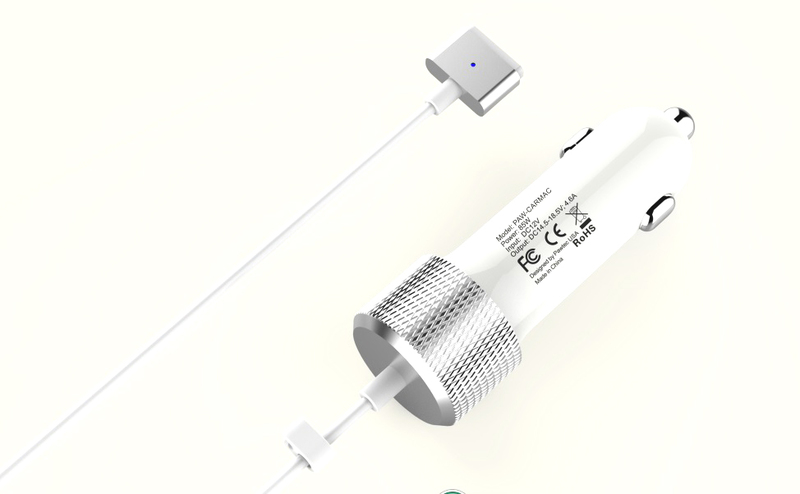 Today finds us with a new product review, and this time the Coosh 60W Rapid Car Charger for Macbook Pro Review. Hello again, savvy savers! 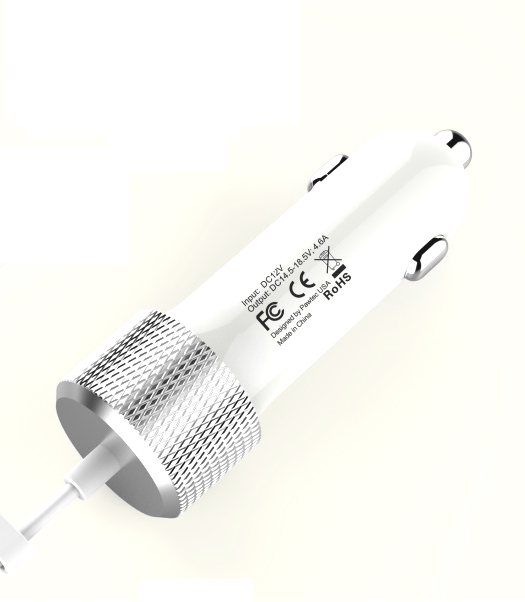 Today finds us with a new product review, and this time the Coosh Heavy Duty MFI Car Charger for iPhone Review.